Do you have questions about the compatibility of a particular software or bit of hardware with Windows 7? 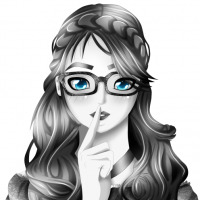 You could experiment and find out the hard way or head over to the Microsoft Windows 7 Compatibility page to do a quick and easy search instead. 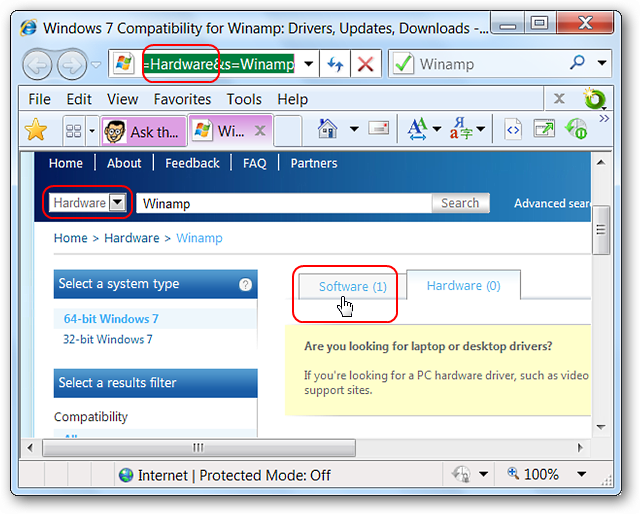 Note: There may be some software or hardware that has not been listed at the Windows 7 Compatibility website yet. 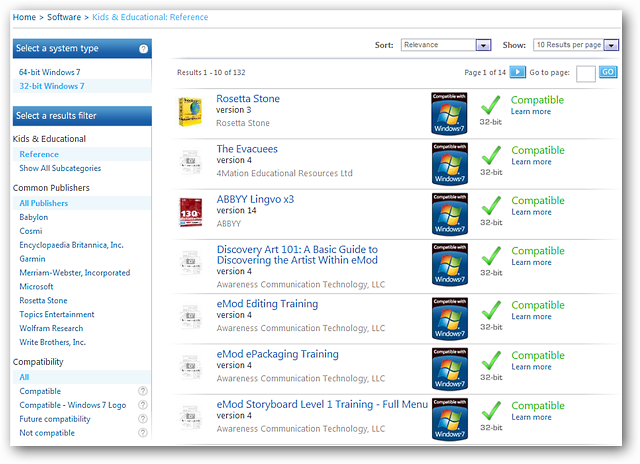 If you want to do a direct search at the compatibility homepage you can use the search functions located at the top. You will need to choose either software or hardware from the drop-down menu. Notice that there is an Advanced Search option available as well. For those who are curious this is what the Advanced Search looks like. Gong back to the compatibility homepage you can also choose to look through the categories available for software and hardware. First the software section…notice that each category has a drop-down menu to help you refine your search. An example of what you will see. This is from the first page of Kids & Educational – Reference sub category. Here is an example of a direct search for a particular software (Paint.NET). This particular software is listed as Status varies, so a quick click on View details will be helpful for understanding why. The additional details for Paint.NET show which versions are and are not compatible with Windows 7. 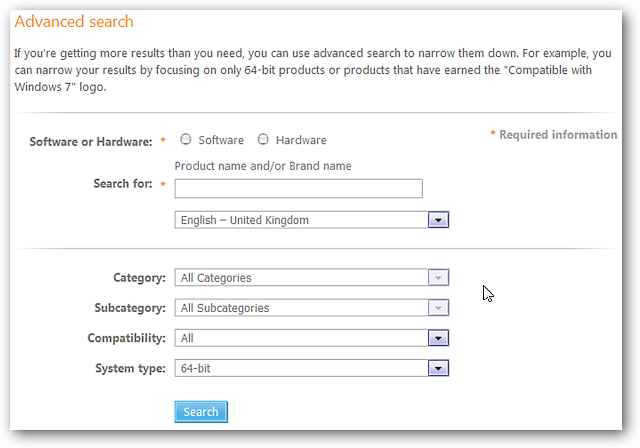 As with software you can search through different categories of hardware to refine your search. The first page of results for Displays – LCD sub category. 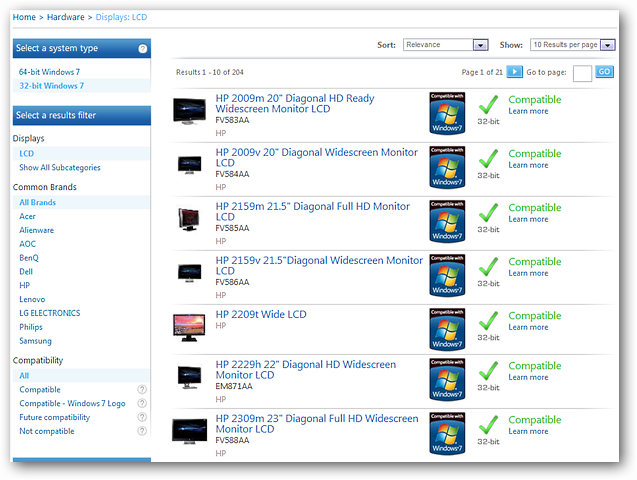 For our hardware search example we chose “HP w17e 17″ Widescreen Monitor”. Looking good. If you use Internet Explorer there are two add-ons that you can install. The first is an accelerator to help you conduct searches for highlighted terms from the Context Menu. The second on adds a new search engine to the search box and a new accelerator to the Context Menu. Choose the one that best fits your needs or both if you like. For our Internet Explorer example we chose Winamp. 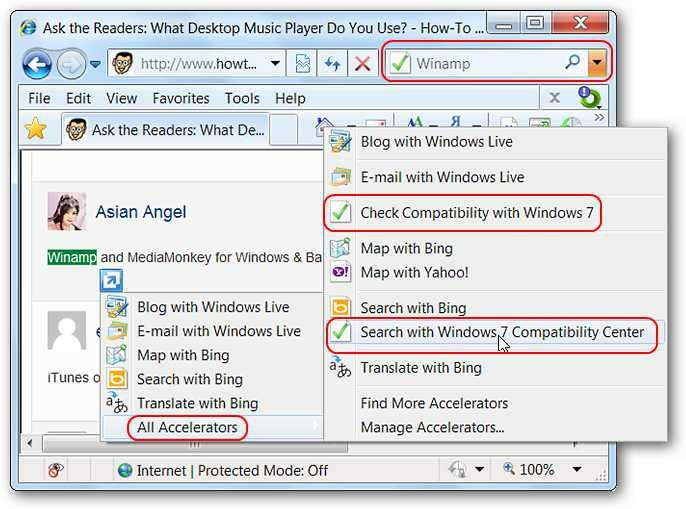 One thing to keep in mind when using the Search with Windows 7 Compatibility Center accelerator…it will default to a hardware search, so you may need to manually select software when the appropriate page opens. 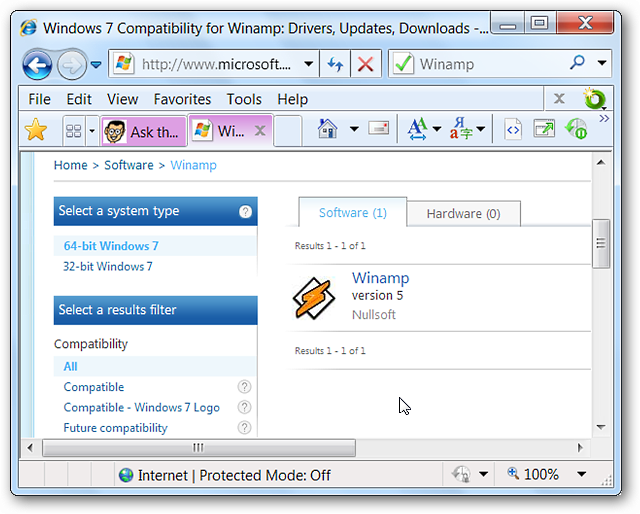 Using the Check Compatibility with Windows 7 accelerator will default to software when the appropriate page opens. Just what we were looking for. 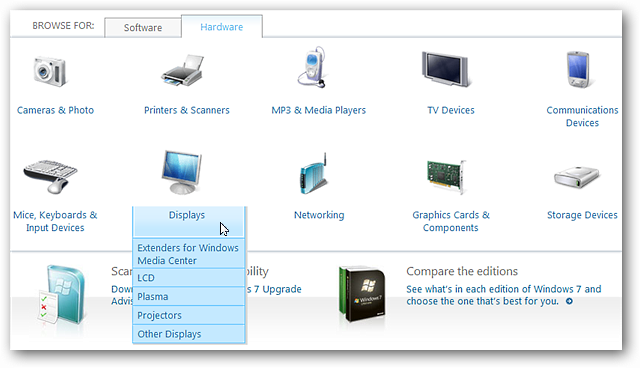 Whether you use the homepage or Internet Explorer add-ons, this should help you find the answers you are looking for on Windows 7 compatibility.